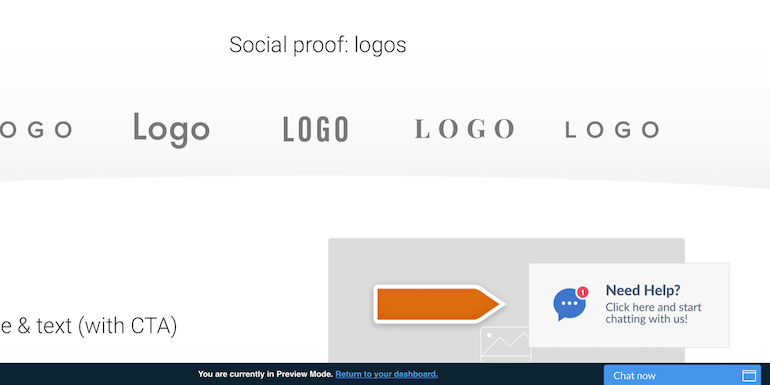 Start chatting with users visiting your Thinkific platform. Install live chat and engage your visitors with automated greetings selling more courses online. 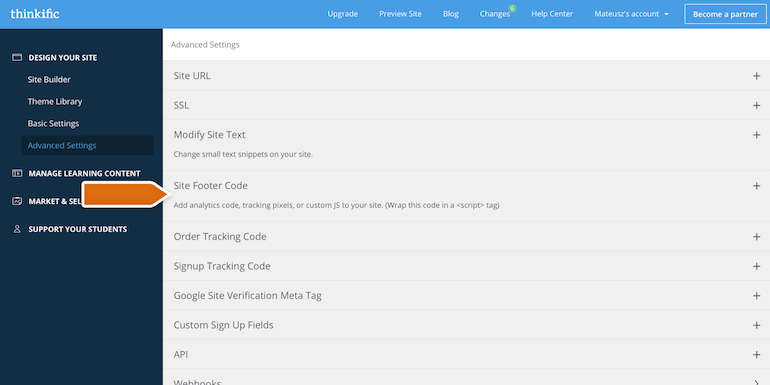 Log in to your Thinkific account and go to Design your site -> Advanced settings -> Site Footer Code section. 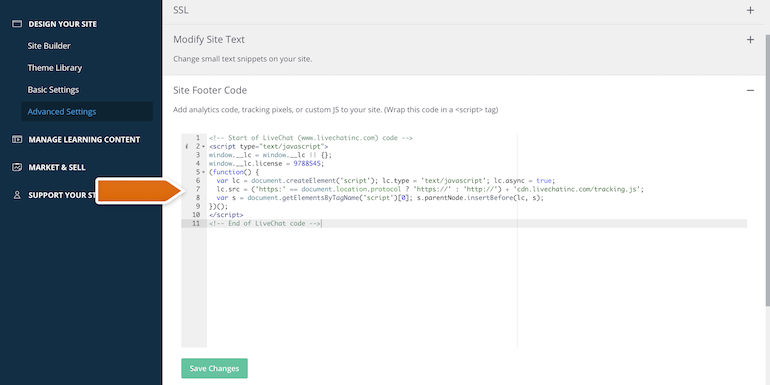 Paste the LiveChat code (CMD+V for Mac or CTRL+V for Windows) and click Save Changes. 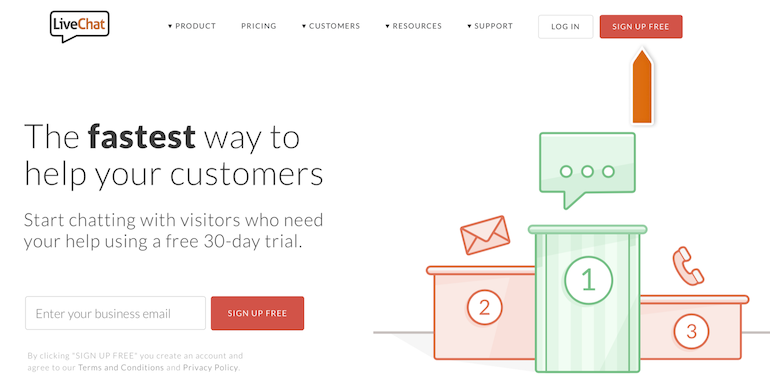 Start using LiveChat to communicate with your Thinkific website’s visitors. Done! You have just installed LiveChat on your Thinkific page. 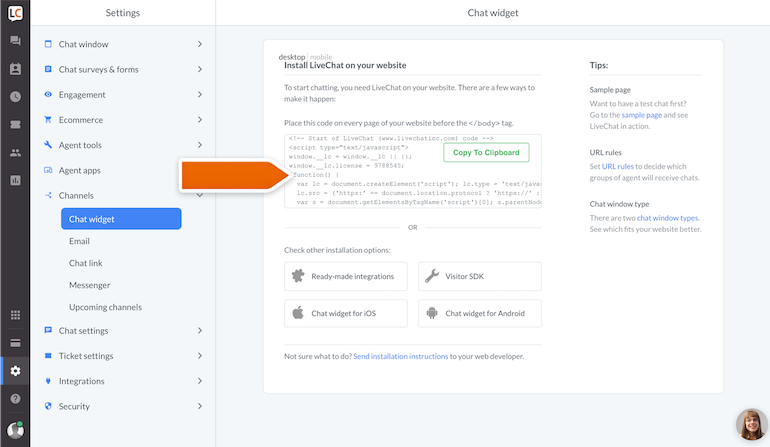 To start chatting with your page visitors, login to the LiveChat web app or download a dedicated desktop application. Now, you can start selling your online courses using direct chat conversations with your customers.